Travel, Holiday and Vacation Reviews and Photos from Bars, Restaurants, Hotels, Resorts and Destinations around the World. 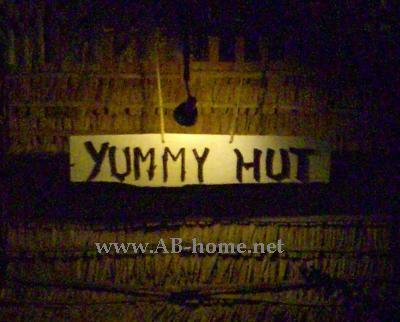 Yummy Hut is a small and good Restaurant at Klong Prow Beach on Ko Chang in Thailand. 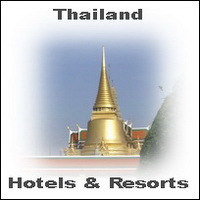 The Round about 60 square meter cosy Restaurant offer a good choise on Western and Thai Food. Her is everything fresh and not out of a can. The family who owned the Yummy Hut Restaurant is really friendly and try the best to make your dinner to the best on your holidays. The little Restaurant on Koh Chang in Thailand offer world class Spring rolls, everything home made. To the Chinese Springrolls I recommend a chicken salad and a fresh fruit shake or a Chang Beer in the evening. Yummy Hut is located at the Klong Prao Beach not far from Nid’s Kitchen which is as well a good address for authentic Thai food. I like the atmosphere at Yummie, the bamboo furnitures and the Coconut Palm Leave roof give a feeling of a Beach Hut Restaurant. Try it out and enjoy the good and fresh Thai food at Yummy Hut on Koh Chang, it will be a highlight of your vacation.